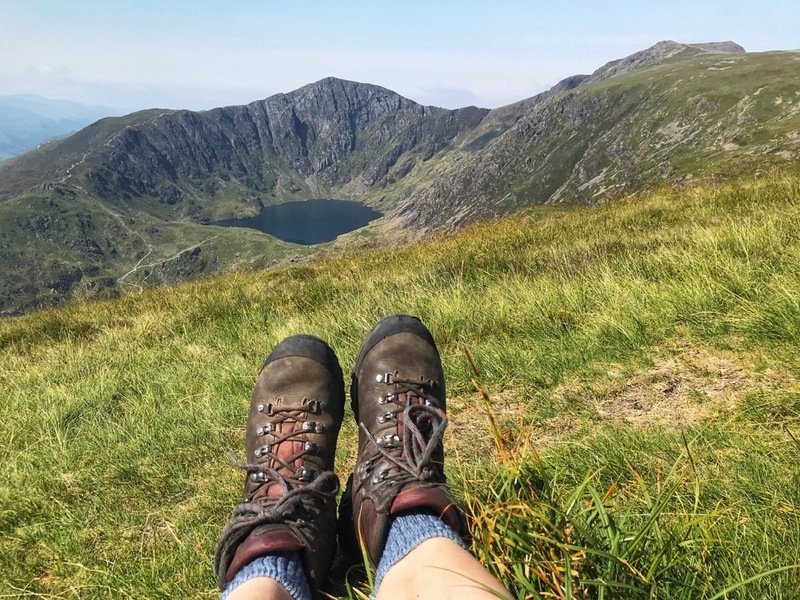 I got the idea from my Wilderness Weekends book, which titles this walk “Poetry and Madness” for the folklore surrounding Cadair Idris.  Allegedly anyone who sleeps on its slopes alone will supposedly awaken either a madman or a poet. 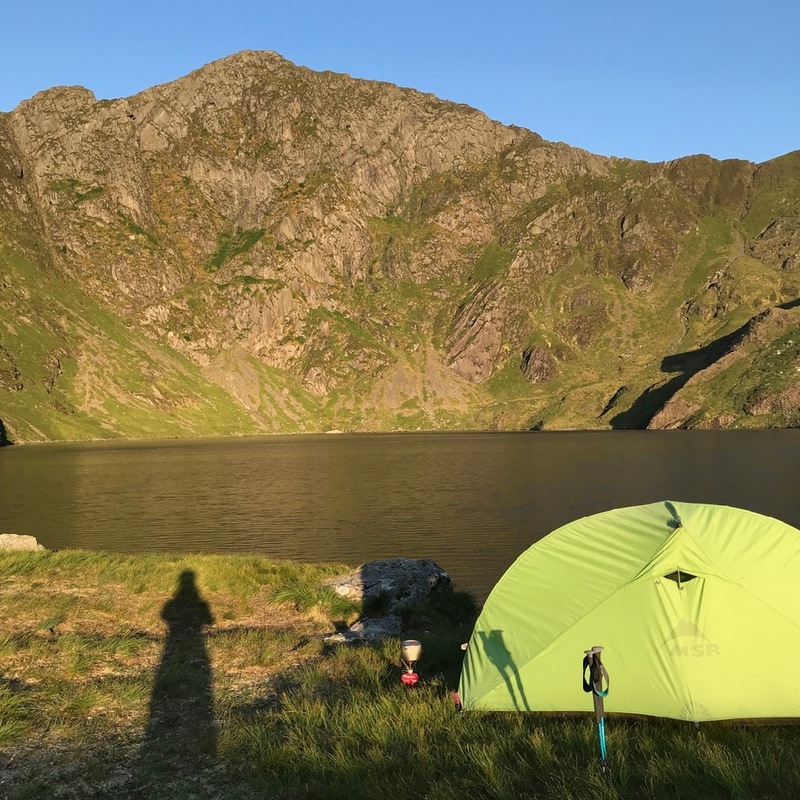 I didn’t get to test this theory – I arrived late in the middle of a heatwave so decided to camp at the awesome Llyn Cau, a glacial lake in the seat of Cadair Idris set beneath 400m high mountain walls. I had it all to myself for about two hours until another lone traveller arrived. He said he’d camped on the summit but this time wanted to camp “IN the mountain” which I thought was a cool way to think about it! 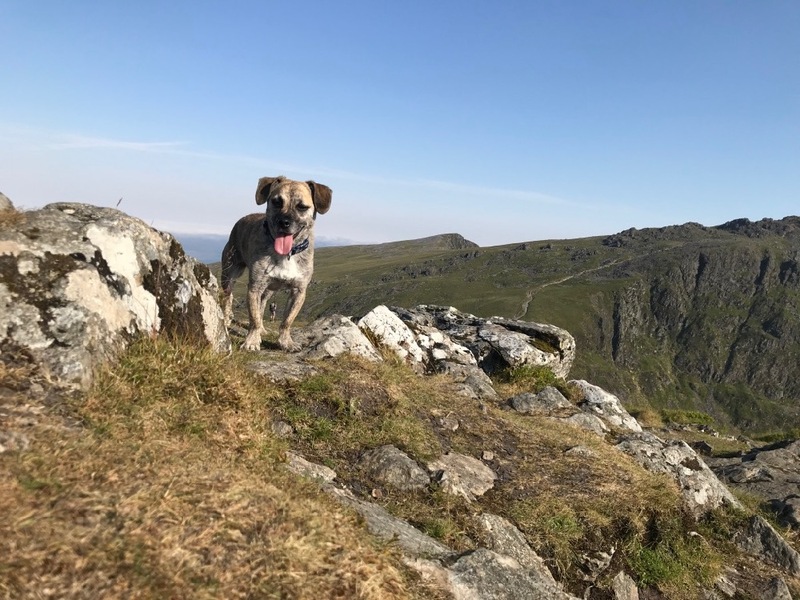 Day two offered the crux of the adventure, with a climb from the Lake to the mountain ridge and a summit walk via Penygadair (893m) and Mynydd Moel (863m). Tough going with a heavy pack but totally doable. 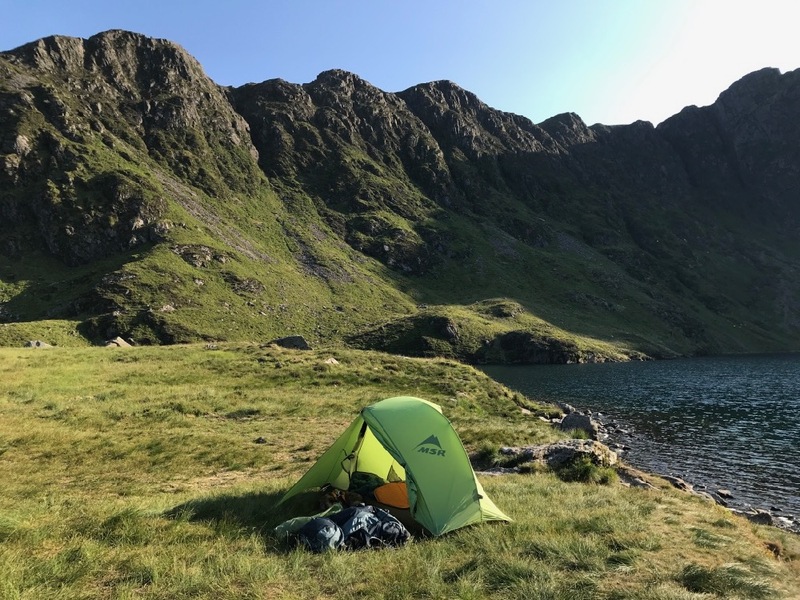 Along the way I kept bumping into the dude-arino from the night before, which made me feel like I wasn’t a total slow poke, and it’s always nice meeting like minded folks, especially those who obviously enjoy the solitude that a place like Cadair Idris can afford. 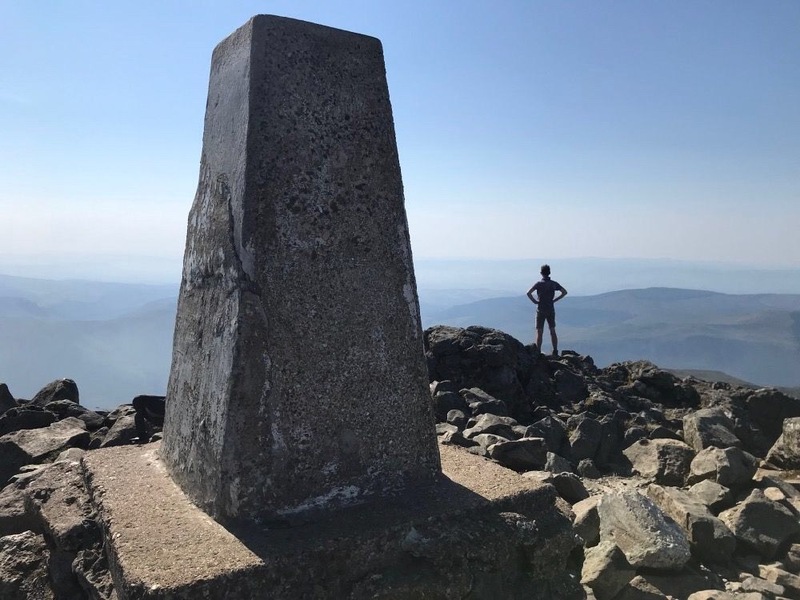 The descent from Mynydd Moel follows a fence line and offers some phenomenal views of the ridge walk just completed and the lake where I camped the night before. 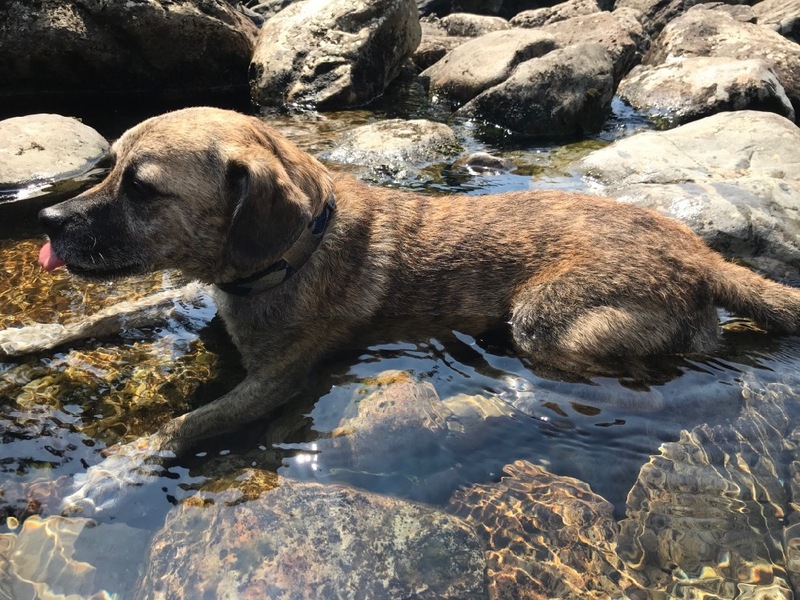 Lucky for one was relieved to get to the bottom – it was a VERY hot day and even Lucky who doesn’t like water couldn’t resist the stream Nant Cadair. 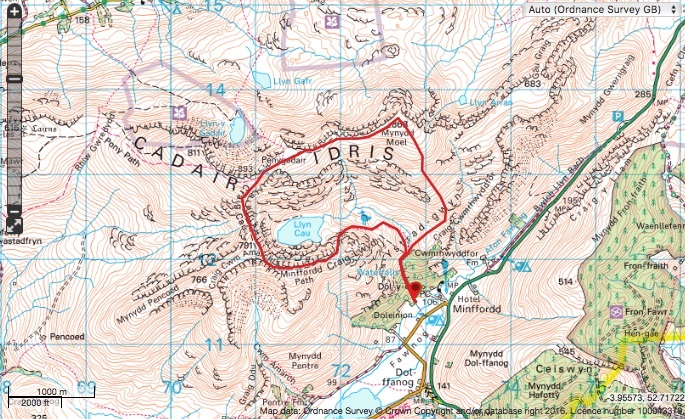 Now that I know what all the fuss is about, I’d like to return to Cadair Idris in the autumn and do the summit camp. I’m already a bit crazy and I wouldn’t mind improving my poetry skills, so I feel like I can’t go wrong! 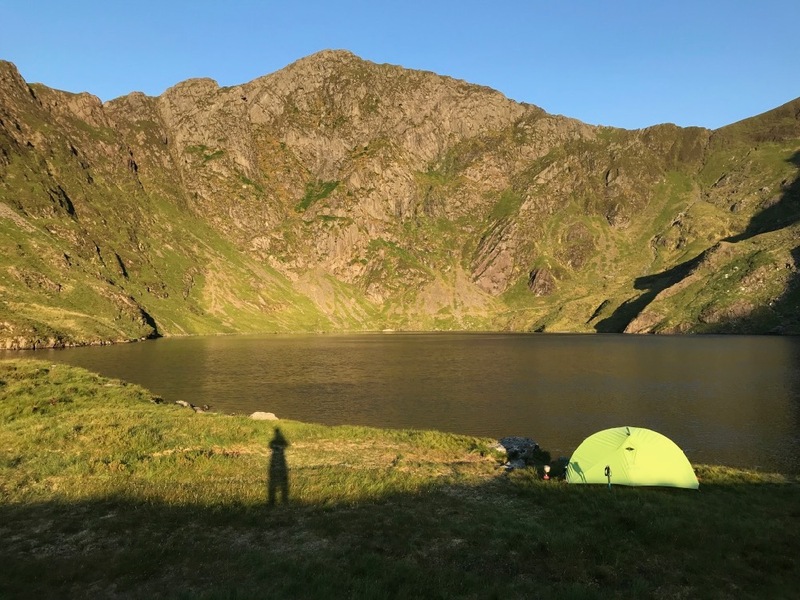 *Top tip: You can’t park overnight at the main Cadair Idris car park. I parked at the campsite just a short hop southwest from the car park. No one was in but I left the car and they seemed perfectly happy for me to pay (£5) the next day.